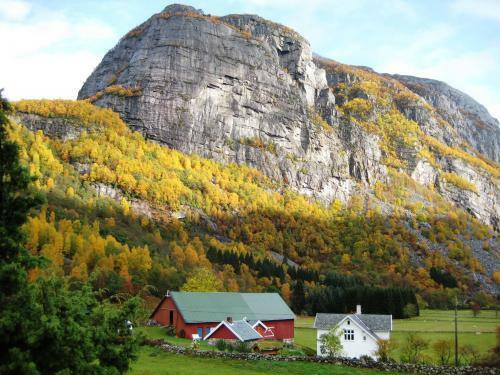 Lysebotn is a wonderful place, with nature so powerful that even the greatest can feel quite small at the foot of the high and steep mountains. 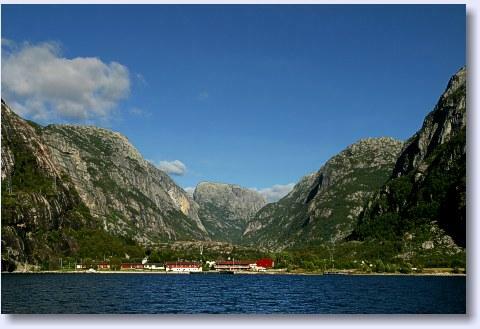 Located right by the ferry port, the Lysefjorden Lodge is a good base for both short and long trips. Below are some of our recommended hikes, and more can be found at ut.no and at Lysefjord Hikes. 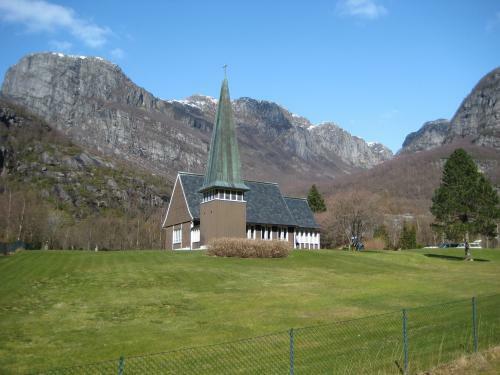 There are also many public walk , both in the area of ​​Lysefjorden and other nearby locations. Kjerag, with it’s 1000 vertical meters down towards the Lysefjord, has become known all across the world. Hikers, climbers, basejumpers – they are all being drawn to this magnificent place. The terrain is tough and demanding, but when you finally reach Kjerag, you get payed by a stunning view. And if you are tough enough, the famous Kjeragsbolten, the Kjerag boulder, is waiting for you! 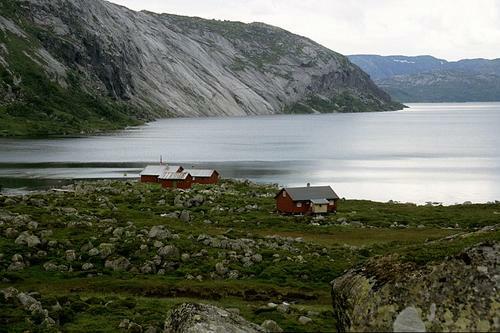 More information about this hike can be found at Lysefjord Hikes. Panorama, Virtual Norge. Start by the dock, walk along the beach, and up the river. A perfect place for picnic! If you want, you can prolong your hike by passing the fence by the camping and out on the road for a circuit hike, or follow the path onwards and up towards Tjodan power station, over the river and to a picnic place. The chapel of Lyse have occasionally open during the summer months. From the chapel, you can continue on car road for about a hundred meters, before you take off on a marked and well-facilitated path. This path will take you over to the farm of Hauane. Onwards you can continue on the road back to the chapel. This is a circuit hike for about 1 hour. 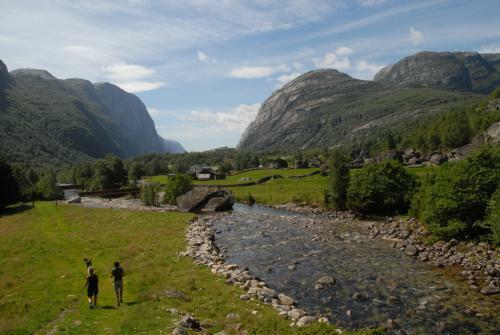 From the end of the car road in the innermost end of Lysebotn, you can follow a marked trail along the river. After a while at this path you get to a small bridge where you can cross the river, and follow it back to the village on the other side. This is a circuit hike for about 1 hour. The marked trail starts by the road between Lyse and Tangen, approximately midway between these places. Follow the path towards Grautheller for a while, and then take off south to the mountain of Jenafjell, which is located 800 meters above the sea. The first part of the track follow the old Skinnvei, which people used for transport between lyse and Valle in Setesdal. From the top of the mountain of Jenafjell, there’s an amazing view. 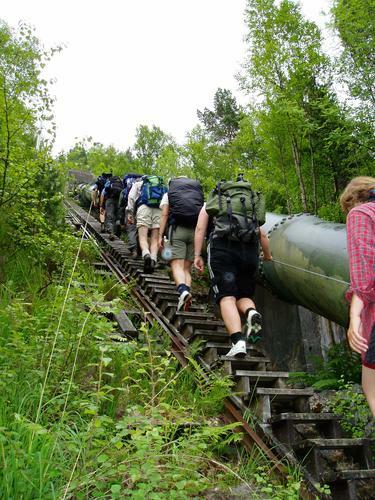 This hike takes about 4-5 hours. The marked track starts at the end of the road by the innermost farms at Lyse. 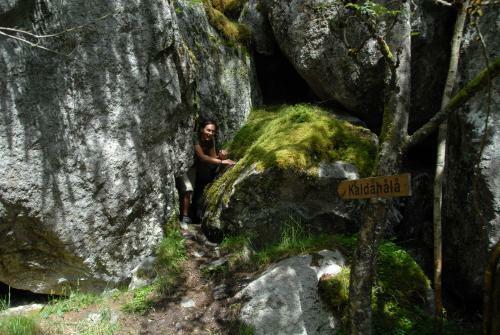 After hiking about 10-15 minutes, you will reach Kaldahålå (“the cold hole”). As you pass “the cold hole” you reach the Kings Stone (Kongesteinen). The stone has, according to the old myth, been the resting spot for a former Viking chief on his journey east. Just beside the Kings stone there is a great canyon where you can see the big pothole, which is called “Tangakjelen”. This hike takes about 1 hour. The marked track starts by the road between Lysebotn and Sirdal. It runs through a hilly landscape, but after a while you can see the distinctive view down towards Middagsjuvet (the “Dinner canyon”) and Lyse, almost 700 meters below you. 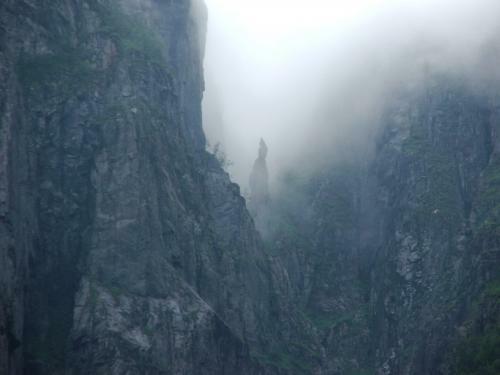 The name Middagsjuvet and Middagskjerringå come from the ca 30 meters high stone pillar in the middle of the canyon. When the sun stands directly above the pillar, it was 12 o’clock, and dinner time at the old farms in Lyse. The hike to and from this canyon takes about 1.5-2 hours. are located in a child friendly area with many possibilities for fishing. Both of this cabin also contain food supply. 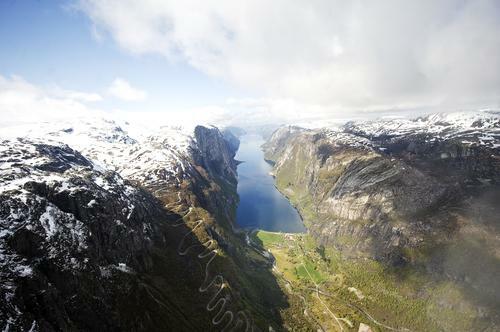 You can order a cab service to take you back and forth along the construction road, from Lysefjorden Turisthytte. From the construction road it is a 2 hours hike to Stakken, and 3-4 hours to Nilsebu.